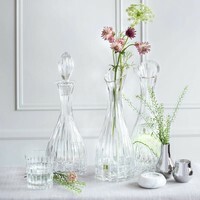 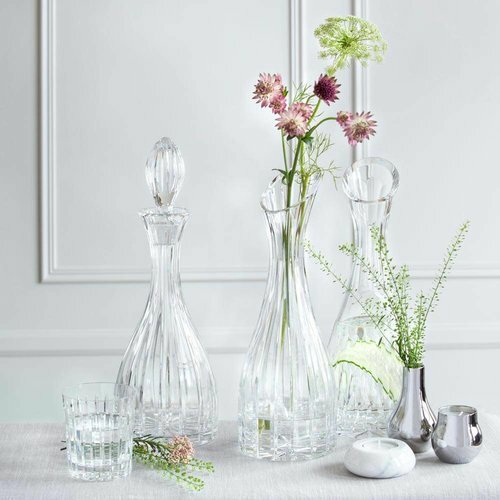 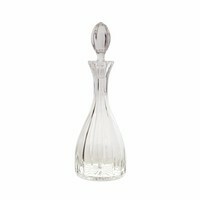 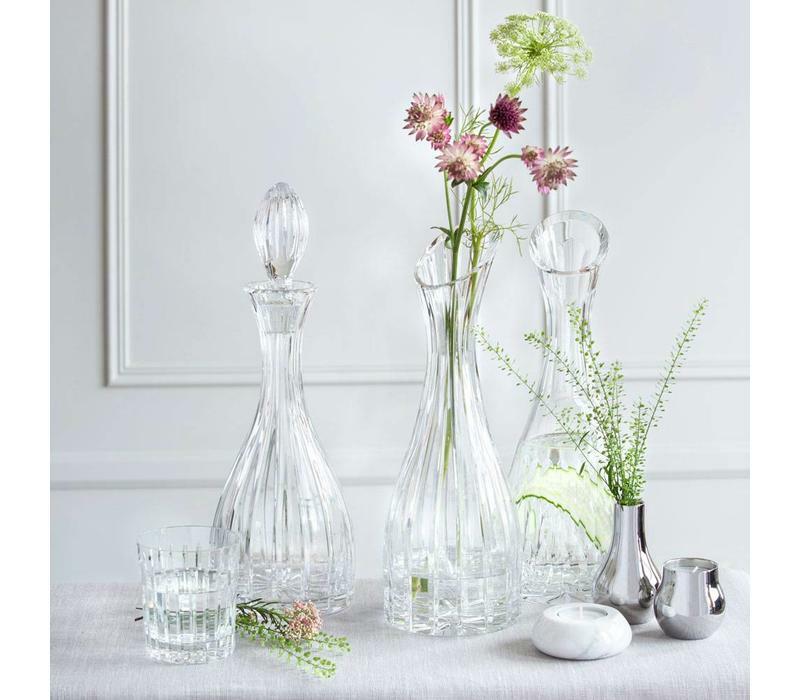 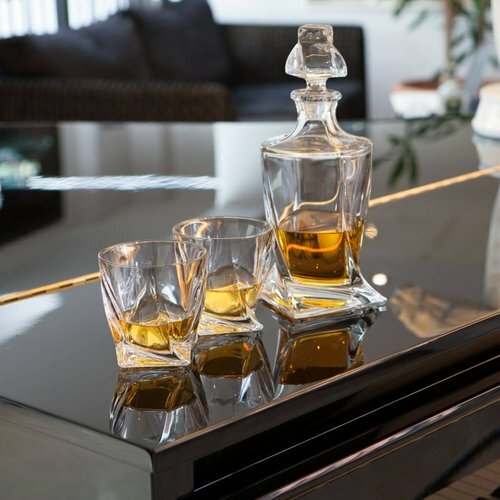 Like rays of sunshine, the elegant decanter radiates outward in bold lines, ensuring a beautiful reflection! 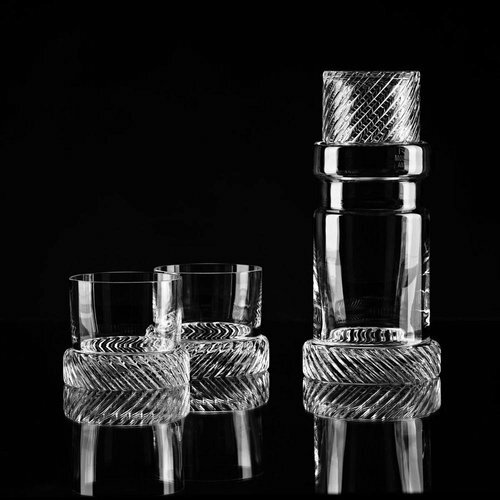 Deep wedge cuts extend from middle outward in a gorgeous star design. 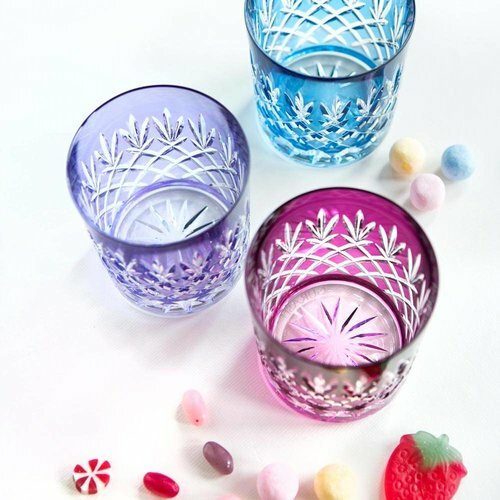 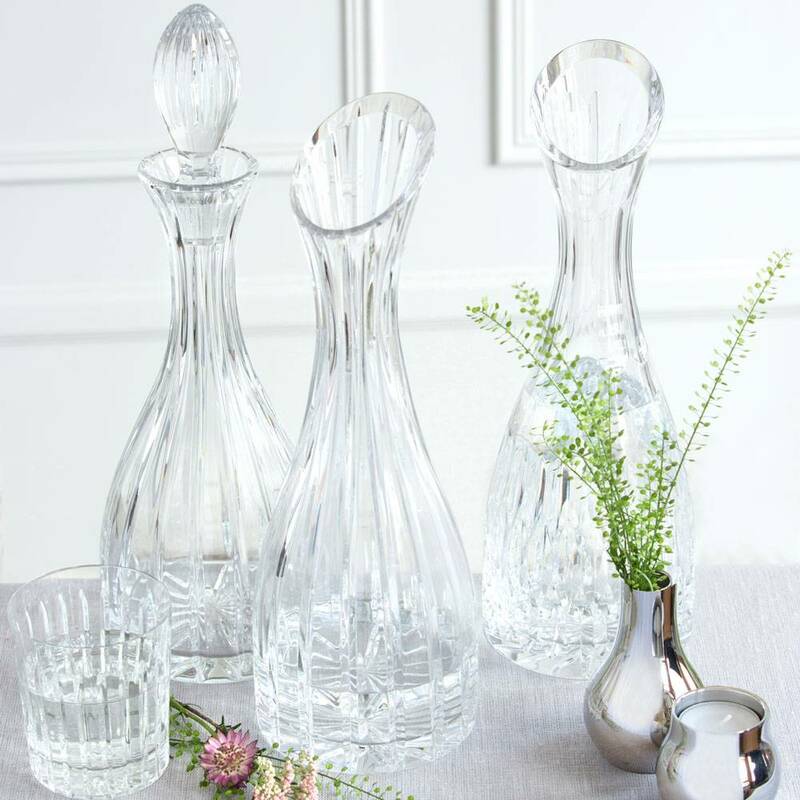 Purposefully designed to aerate wines prior to serving, this crystal accent piece enhances both white and red wines. 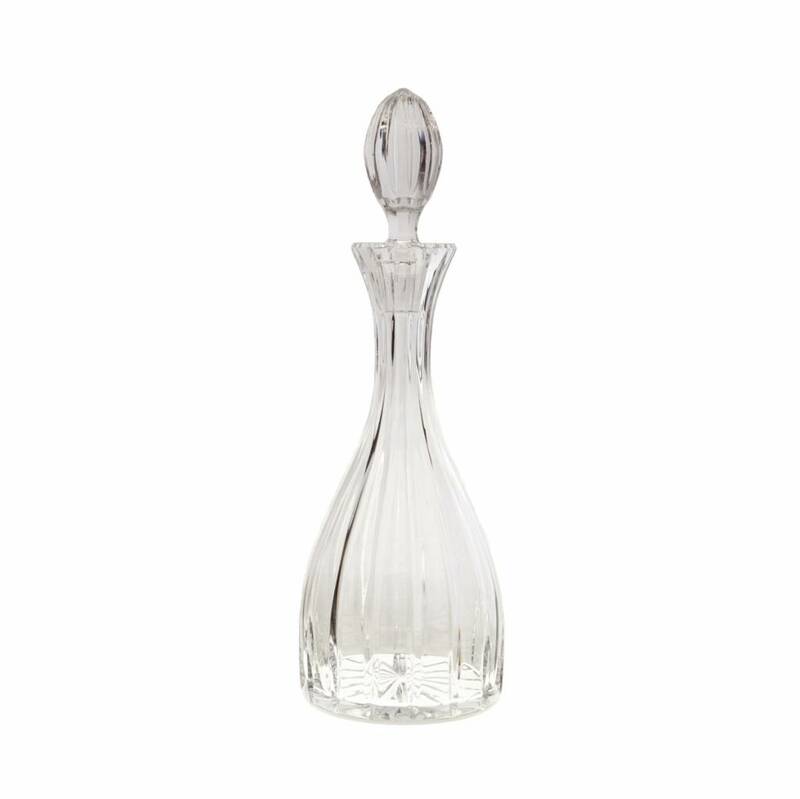 Decanting allows wine to attain clarity and colour while enabling the flavour to develop. 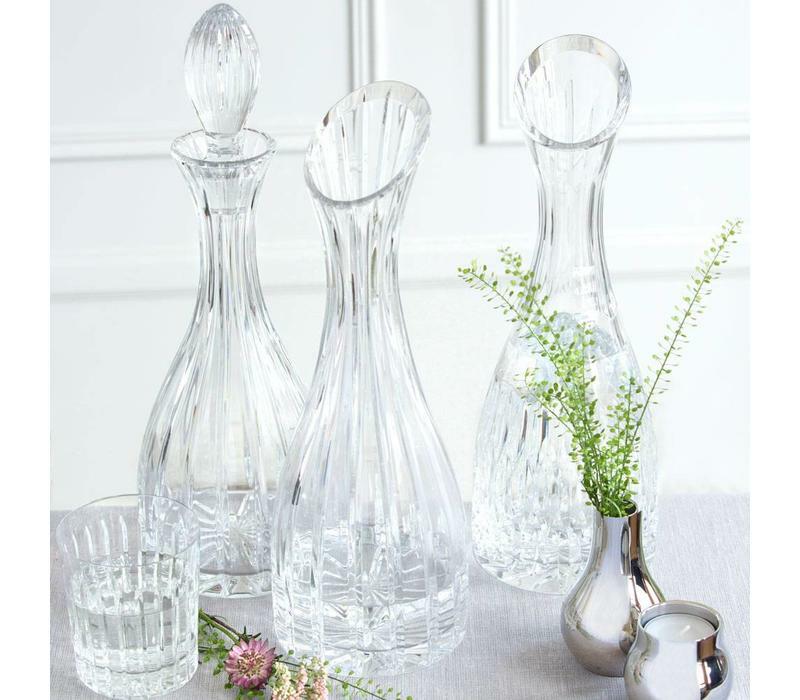 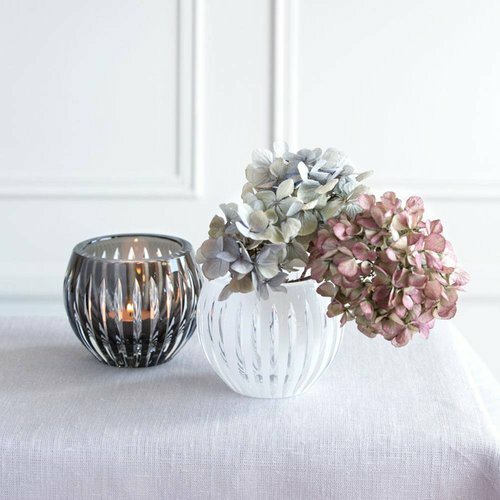 The Shining Star Carafe, with its streamlined silhouette, offers a sleek and polished presentation. 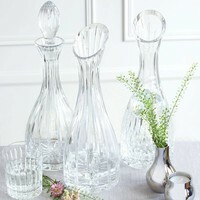 It is designed to add a casual elegance to everyday use.